First of all, here’s what you already know about Longsands Fish Kitchen in Tynemouth : they do lush fish and chips. What is less well known is that, in a little restaurant off the back of the Front Street chip shop, they serve up some fancier fare. Going there and not asking for something that comes with scraps and a pickled onion isn’t easy, but we decided to find out what else they do. I’m a bit (a lot) picky with seafood so, to test out the more exotic side of the menu, I took a friend who is very much the opposite. So whether you’re a connoisseur or a dilettante like me, hopefully this review will provide a look at things from both sides of the table. Before the meal starts proper, I have a rush of blood to the head and demand a couple of oysters. Perhaps it’s time to expand my horizons and where better to start than one of these funky looking critters? I take a long hard look at it but, as soon as I get the feeling it’s looking right back at me, I surrender them to my friend (she says they were great). They come served with all manner of accoutrements (lemon, tabasco, flavoured oil etc.) to ease the blow – which, by the way, I take as more evidence that everyone’s just pretending to like them. But even I can tell they’re fresh and, the seafood here is caught locally. To start, we order the salt and chilli squid and the smoked haddock and black pudding scotch egg. 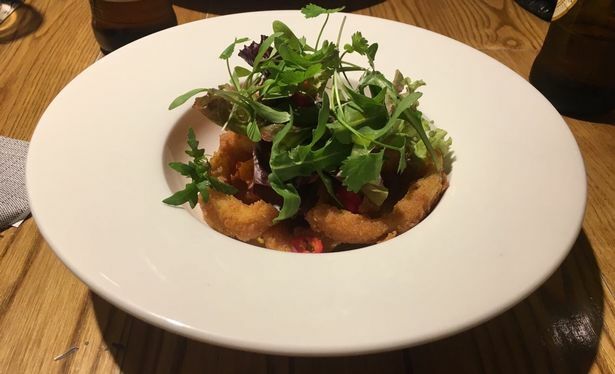 Like a lot of people, my first encounter with squid was an accidental, panicked and generally unpleasant affair as a result of an onion ring mix-up in the buffet restaurant of a Mediterranean hotel. While my Partridge-esque insistence there should be better signage demarcating these doppelganger dishes remains undimmed, I’ve learned to like calamari. It’s seafood for people who don’t like seafood. Fried, seasoned and dipped within an inch of its life, it needn’t be seafood at all. Longsands’ version is the best I’ve had. It comes served with a clutch of green leaves, chopped chillies and a sticky Thai-style sauce and the coating on the squid itself is crunchy and batter-y. So if you share my aversion to food with tentacles but would like to branch out then you have nothing to fear. 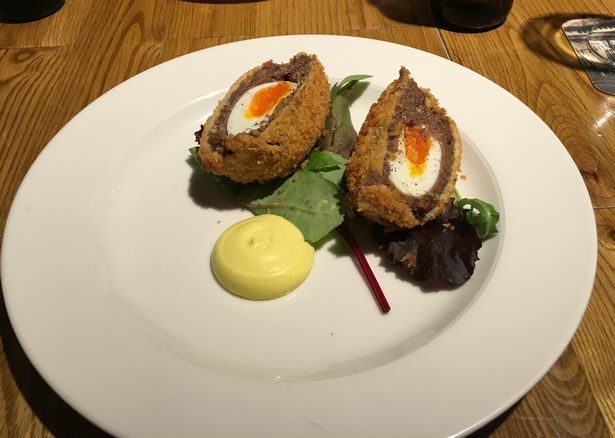 The scotch egg is weirdly in vogue right now, with plenty of classy eateries offering a take on the humble snack (Broad Chare and The Jolly Fisherman, both on the Quayside, are just two of them). I don’t know why they’re suddenly trendy and I don’t particularly care – all I know is that Longsands’ version is as good it gets. The dry sausage meat is replaced with a creamy mix of smoked fish and black pudding and the egg yolk in the middle is still just runny enough. If you want a bit of traditional home comfort with a twist to make up for the trauma of forgoing the fish and chips, order this beauty. What does a chap who remains unconvinced by the fruits of the sea order in a seafood restaurant? Fish pie seems like a good bet – it doesn’t sound particularly scary but is packed with salmon, smoked haddock, prawns, scallops and cod. 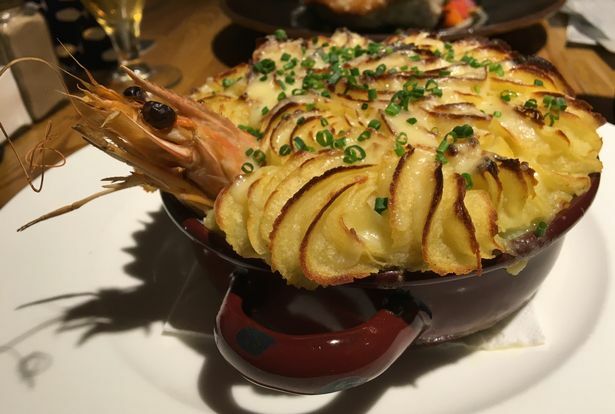 It’s finished off with a potato and gruyere topping and comes served with the head of a shrimp protruding from it, like a mermaid carved into the bow of a pirate ship. The topping was creamy and nicely crisped and, once you’ve tunnelled your way through the masses of potato, you arrive at a treasure trove of thick chunks of fish, delicately and slowly cooked. On balance, it’s a bit…well, it’s fish pie. As fish pies go, it’s cracking but, in hindsight, I might have managed to play it too safe. And, personally, I could have done without the mutilated shrimp head sticking out of it. My friend, on the hand, picked it bare. Speaking of my friend, she ordered a grilled tuna steak served so rare it was effectively sushi. 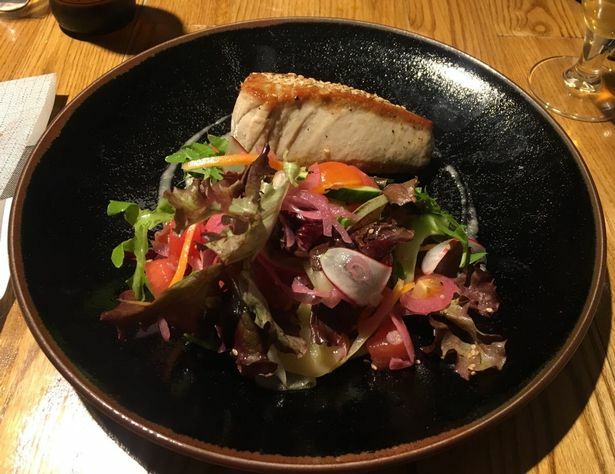 It was plated up alongside a summery salad which paired the sweetness of watermelon with the sourness of pickled vegetables (this is a good way of having a pickled onion by stealth). The whole thing was delightful – plus, you can order a side of chips with it if it that all sounds a bit too wholesome. If you’ve had the fish pie, you’re not really going to need a dessert – and you’re definitely not going to need the ‘hot chocolate pot’. I pictured a little delicate mousse which could be polished off in a couple of spoons just to provide a little sample of sweetness to cap the meal off. 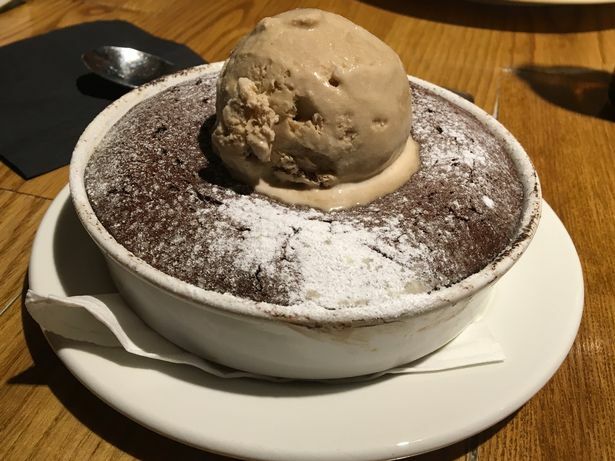 It’s a large bowl of baked chocolate sponge, concealing a gooey, opulent fondue and with a fistful of salted caramel ice cream sitting atop it. There’s no messing around here. It’s as childish and messy and sickly as a dessert you’re likely to get in a well-to-do sort of place – and it’s delicious. 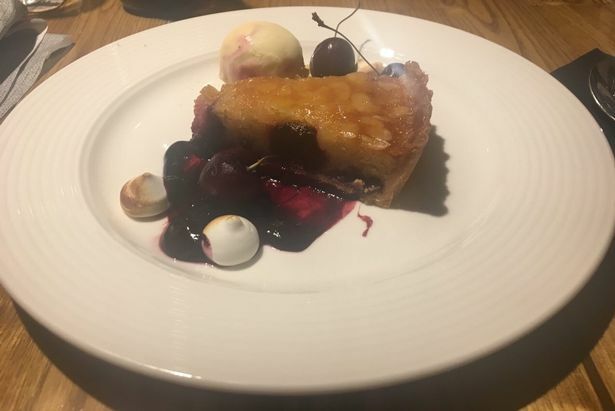 My friend goes for the cherry and almond tart, which is basically the opposite (although still delicious). Light, understated and all classy looking with its scattered fresh cherries and mini meringues, it’s a far softer landing to end the meal. 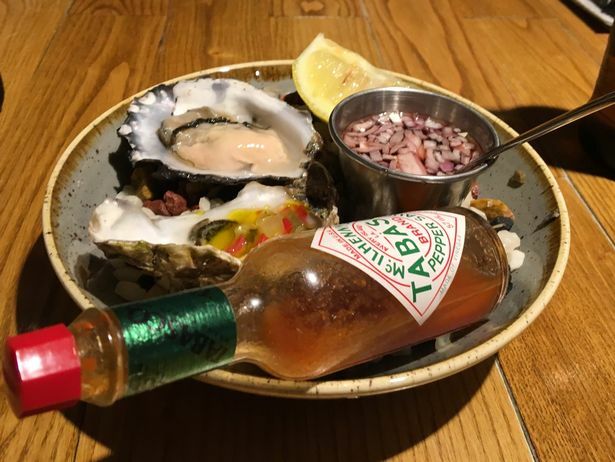 With a broad restaurant menu, a separate selection for the bairns and a well-stocked bar, Longsands Fish Kitchen really does offer something for everyone. Whether you fancy a posh gin and tonic with a bowl of mussels or a cup of tea and a battered sausage, it’s all there for you. 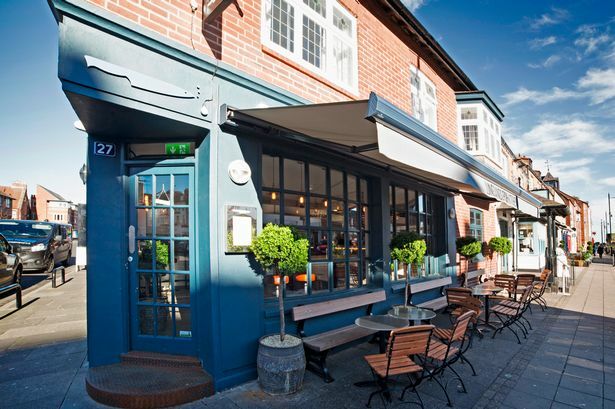 Price wise, it’s not bad: with a few beers chucked in, our bill came to a not-unreasonable £65. I can’t – and won’t – tell you not to get fish and chips but, honestly, the alternative’s spot on.